Bus from Muar to Merlimau is an important transportation for locals who do not own cars. With no train coverage between Muar and Merlimau, locals rely on this bus service to travel from Muar to Merlimau. Mayang Sari Express is the only bus company who offers bus service from Muar to Merlimau. In total, the number of trips provided by Mayang Sari Express are 3 daily departures. Mayang Sari Express is one of the popular bus companies in Malaysia. They consistently carry out their duties at an excellent level of performance and provide quality bus services to passengers. Thus, Mayang Sari has earned the recognition as one of the top bus brands in Malaysia. The first bus from Muar to Merlimau departs at 8:30am. The following bus schedules are at 1:30pm and 6:30pm. Passengers are advised to book the service online in advance to avoid missing the bus due to the limited bus services available from Muar to Merlimau. 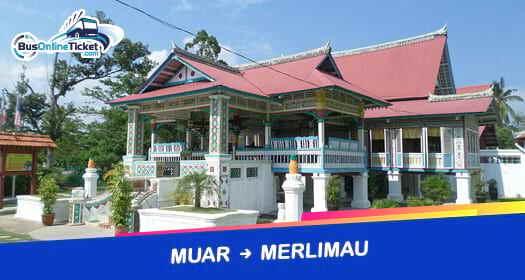 The duration required to travel from Muar to Merlimau is approximately 1 hour. The travel time from Muar to Merlimau depends on the traffic condition. Additionally, even for a short journey, you can request for a washroom break from the bus driver during the journey. The bus ticket price from Muar to Merlimau only costs RM4.70. The boarding point in Muar is located at Muar Bus Terminal. Upon arriving in Merlimau, the bus driver will drop off passengers at Merlimau Bus Terminal. Booking your bus ticket from Muar to Merlimau via BusOnlineTicket.com now can save you from the hassle of queuing up to buy a ticket at the ticketing counter. All bookings made through BusOnlineTicket.com will be instantly confirmed once payments are received. We accept various modes of payment such as credit card, Alipay, Paypal, Boost, and many more.